At Lifestyle Design, our team will turn your dreams into reality. 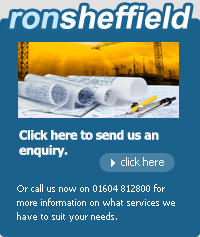 We design new builds, extensions, garden rooms, garage conversions and much more. We will discuss your ideas, survey, create feasibility options, prepare and submit your planning application. After planning approval, we prepare and submit Building Regulations. We offer a complete professional and affordable service. Lifestyle Design is highly active in the residential market focusing on refurbishment, alterations and extensions for the home owner and those wishing to design and build their own home. Planning permission will be necessary for most extensions. We can contact the planning department and submit a pre-application ( an outline of the proposed project), before any work is started in order to obtain written advice about the design proposals. Occasionally, it maybe that your project falls under "Permitted development" legislation and will not require planning permission. It is wise to obtain written permission from the Planners that your project is in this category and we advise you to obtain a "Certificate of Lawful Use". Contact use for more information. We have clients who wish to design their own homes and others who require small developments of houses and flats, for example in "change of use" situations. We have clients who want to build eco homes or adapt their existing homes to a more sustainable energy efficient home and reducing the carbon footprint, an increasingly essential requirement.. The appropriate choice of green technology requires careful consideration. Lifestyle Design can provide advice on party walls, structure, services, energy efficiency, surveys, access, the new Health & Safety legislation and CDM 15 services. Lifestyle Design is about designing your new space to suit the functionality you require for your new and changing lifestyle.